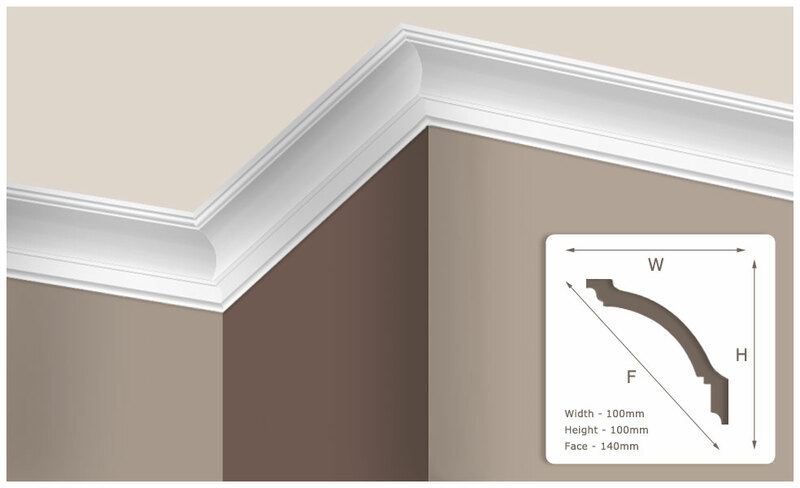 Designer mouldings, cornices, skirtings and dado rails in Gauteng, South Africa. 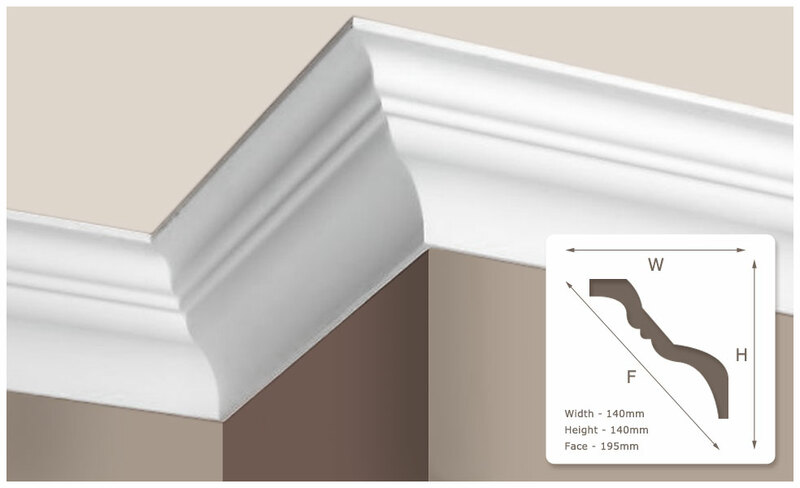 We are proud of our comprehensive large range of mouldings, cornices, skirtings, dado rails in South Africa. All profiles can be manufactured in any timber. Colour variations do occur on all natural timber. 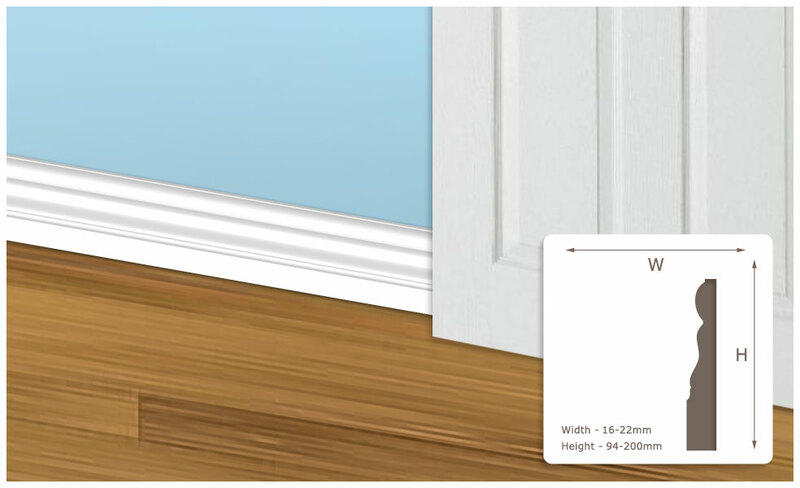 Lengths vary in natural woods. 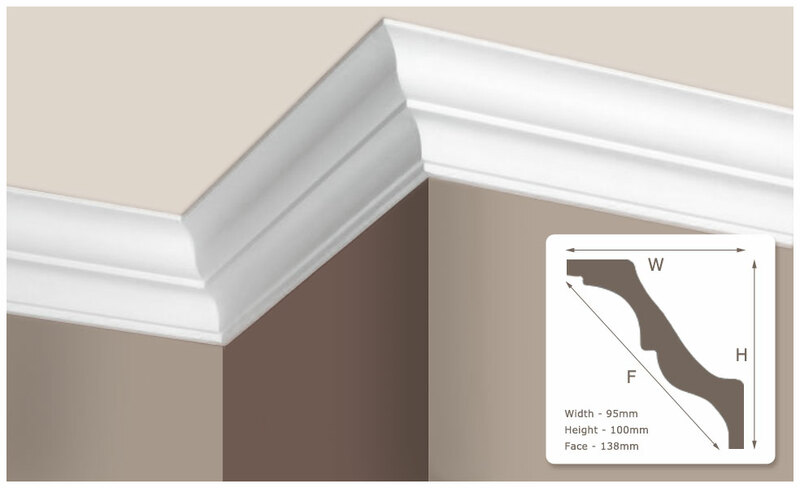 TK mouldings will endeavour to supply you lengths closest to meterage ordered depending on available lengths. Supawood supplied in standard lengths of 2.750m. 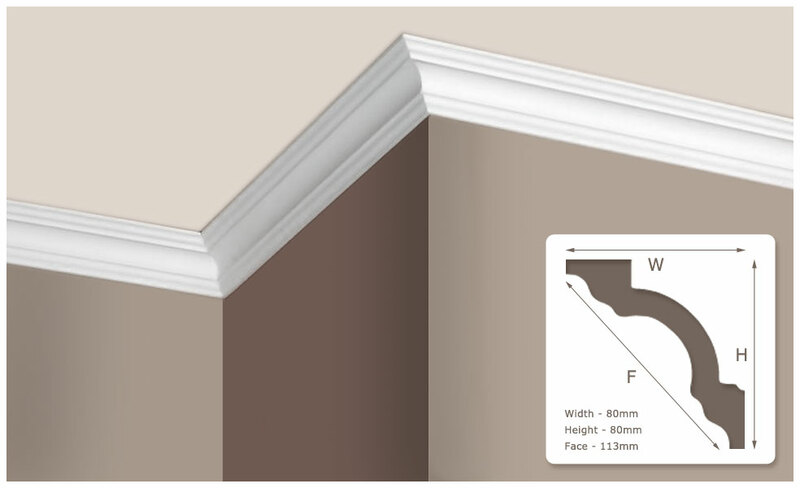 Our comprehensive range of cornices, dado rails, balustrades, skirting boards and architraves add the finishing touches to your home. 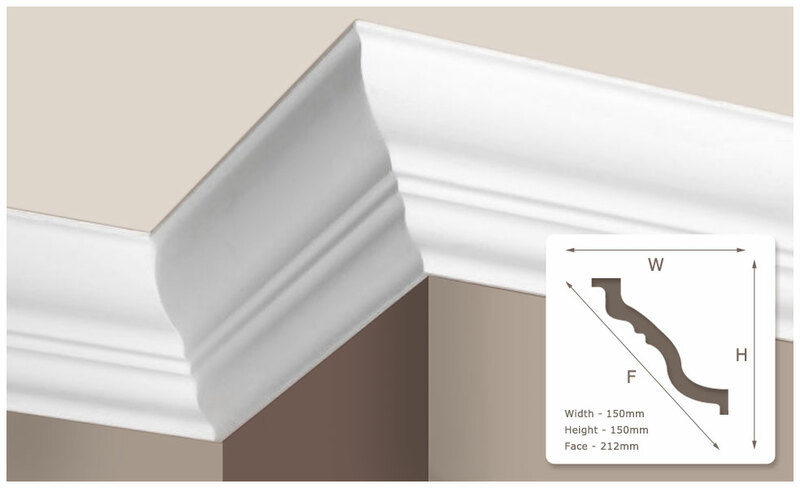 Our cornice selection is extensive, ranging from traditional cornice designs through art nouveau and art deco conicing, to the more colonial styles seen in houses today. 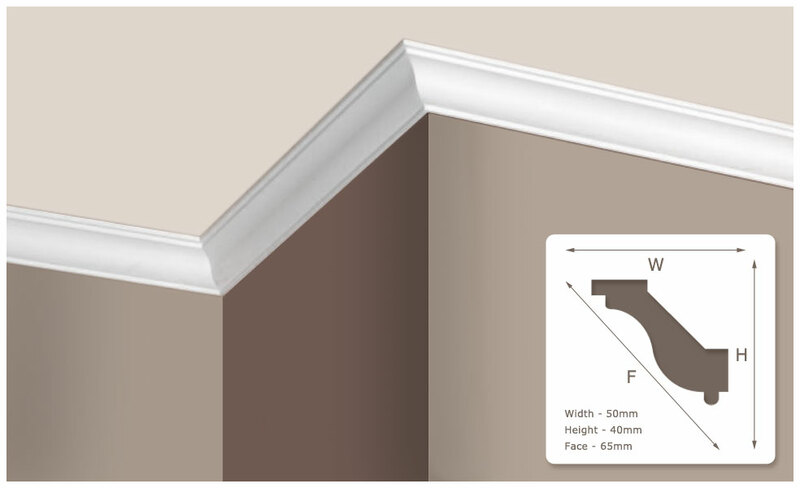 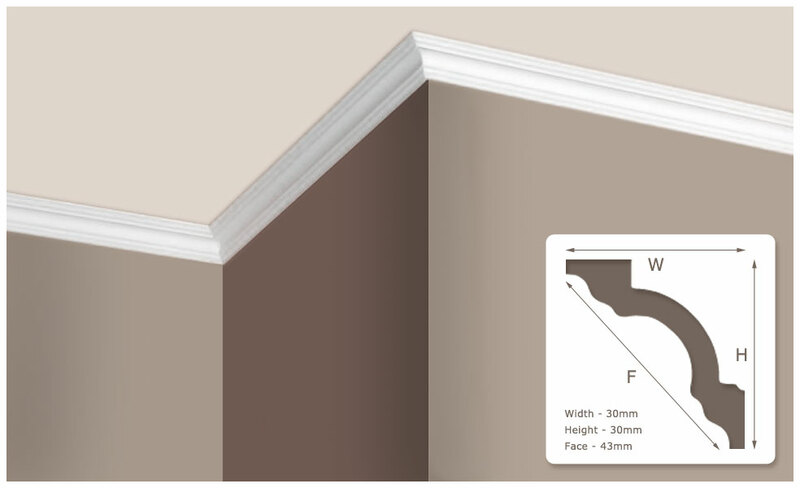 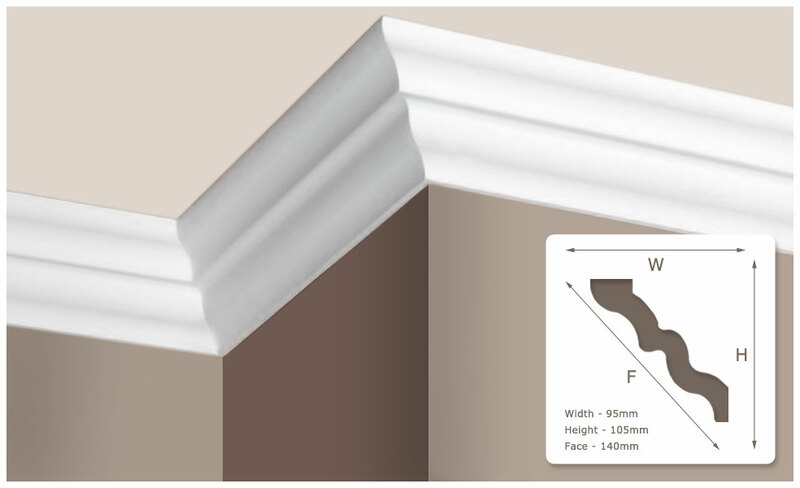 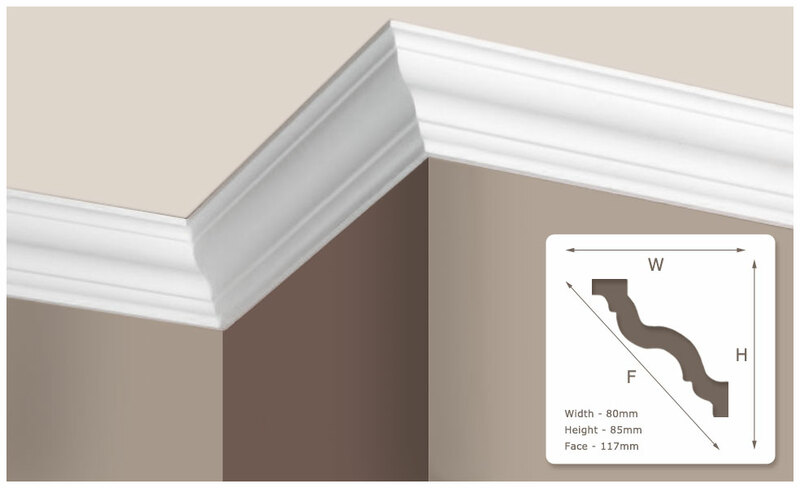 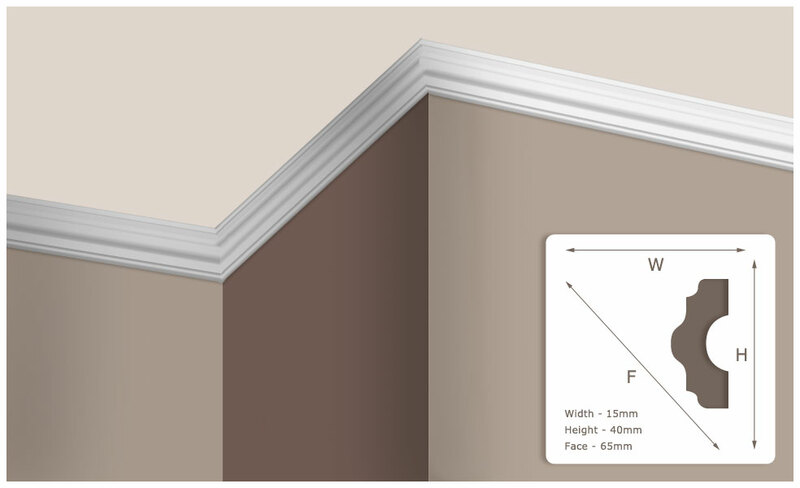 We provide you with cornices as fantastic finishing touches to compliment your new floor, room or space. 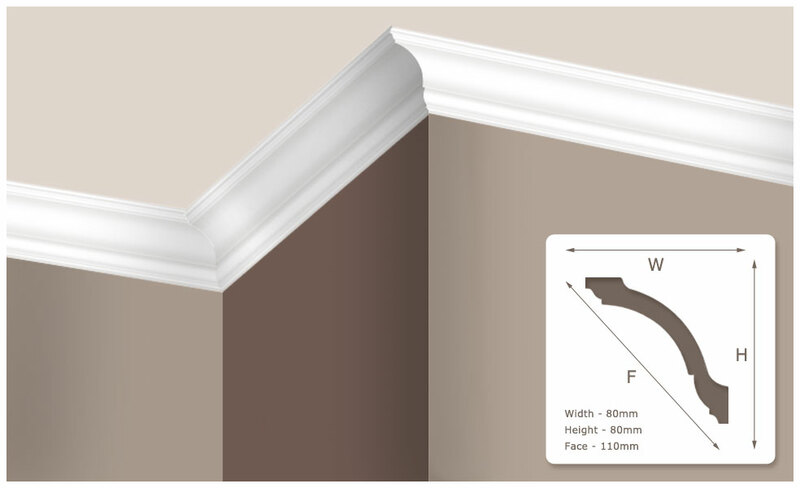 TK Mouldings are committed to providing you the highest quality cornices at the best prices on the web. 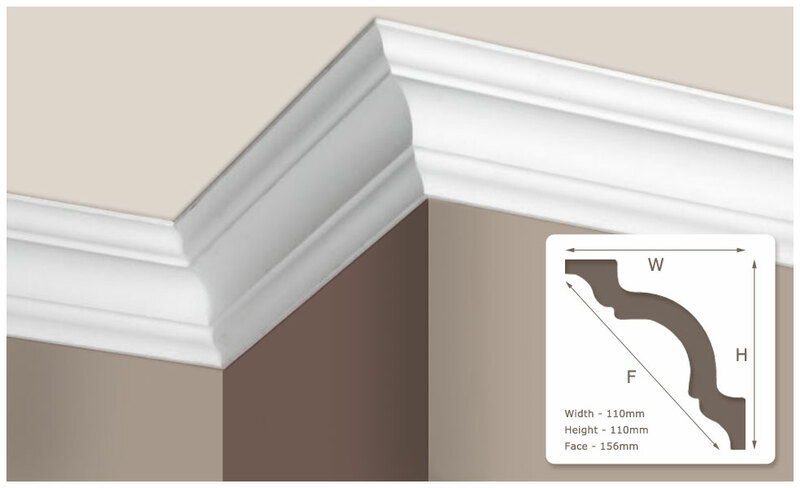 We offer bespoke cornices in various materials. 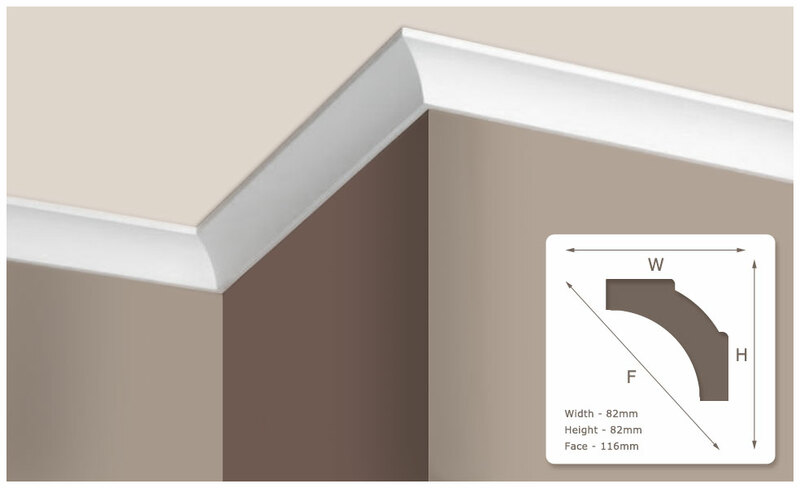 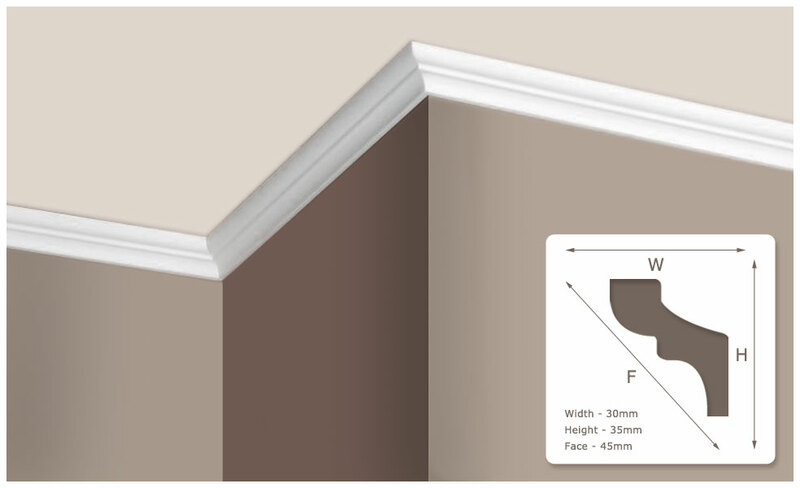 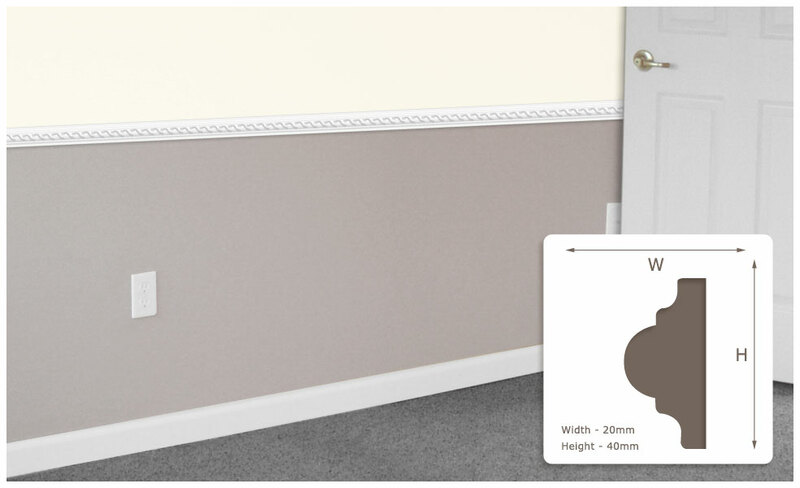 Our cornices are available in various sizes so go take a look at our range, although the range is extensive there may still be a pattern which is not shown on here. 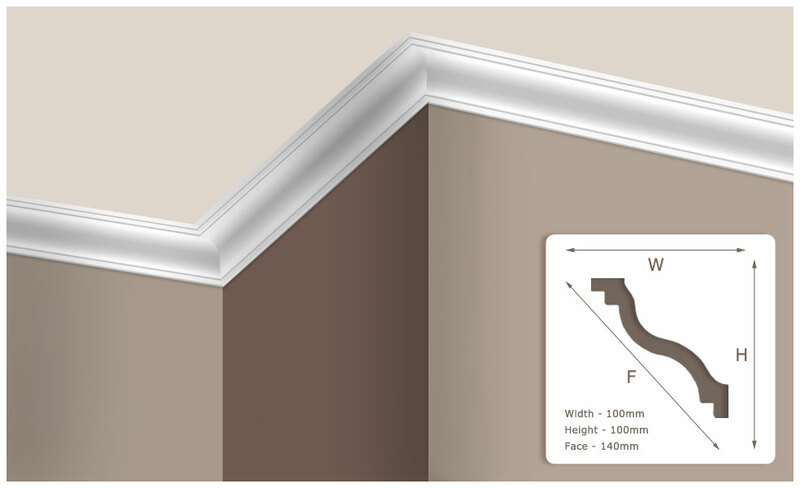 The dado rail is traditionally part of the dado and, although the purpose of the dado is mainly aesthetic in modern homes, the dado rail still provides the wall with protection from furniture and other contact. 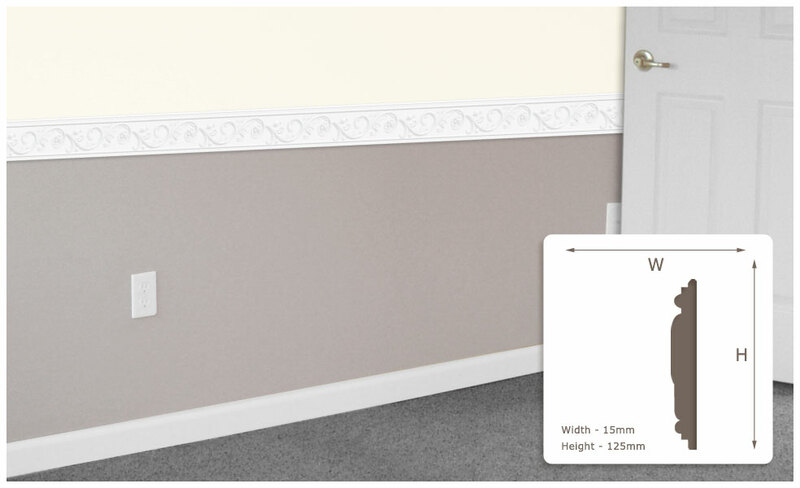 Traditionally, the height of the dado rail is around 36" or 900 mm, which was a suitable height to protect the wall from the backs of chairs. 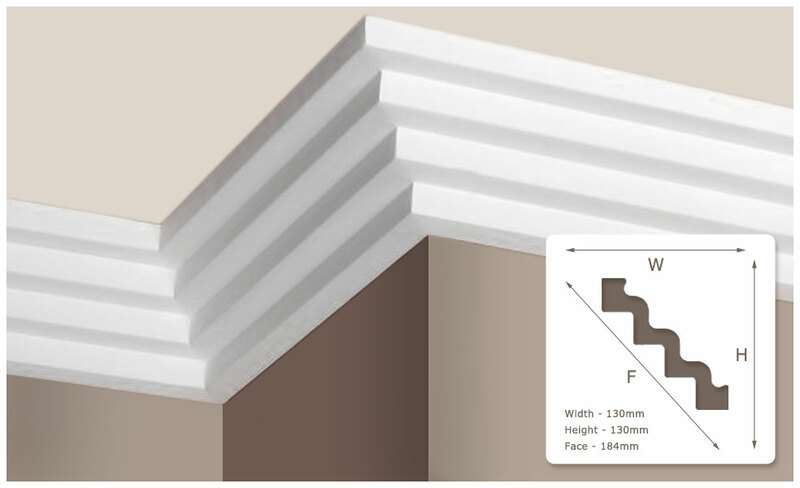 Since the original purpose of the dado treatment is not applicable in modern homes, it is common to see dado rails at 1200 mm or even 1500 mm from the floor. In architecture, a baseboard (also called skirting board, skirting, mopboard, floor moulding, as well as base moulding) is a (generally wooden) board covering the lowest part of an interior wall. 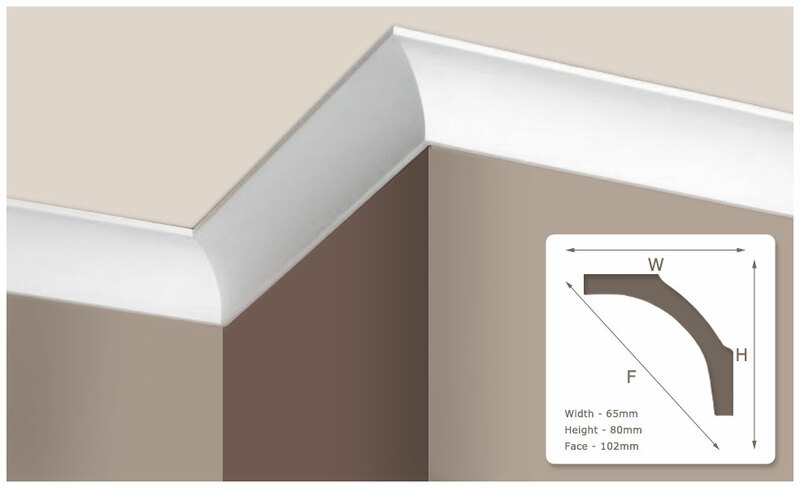 Its purpose is to cover the joint between the wall surface and the floor. It covers the uneven edge of flooring next to the wall; protects the wall from kicks, abrasion, and furniture; and can serve as a decorative moulding. 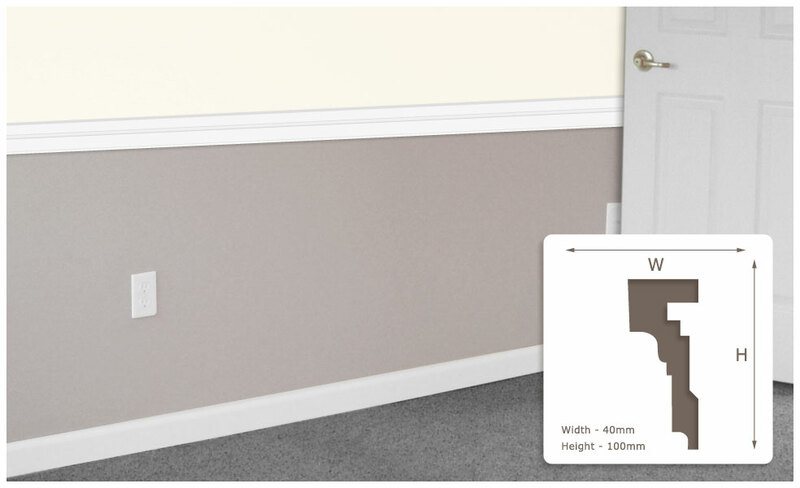 At its simplest, baseboard consists of a simple plank nailed, screwed or glued to the wall; however, particularly in older houses, it can be made up of a number of mouldings for decoration. Skirting Boards is very big in the Home Improvement/DIY sector. What they call social media or 'trending' is a great platform to stay in contact with customers and get their feedback and let you air your thoughts.